Sometimes when I read a book, something clicks and I really connect with it. It pulls me in and takes me on a fantastic journey. I do not know why this happens with some books and not others, but it does. 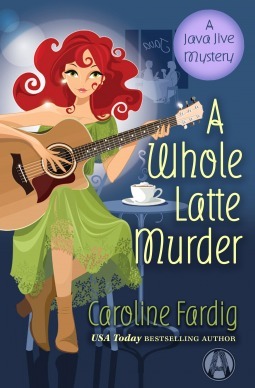 That is exactly what happened when I read A Whole Latte Murder. The characters are well developed and well rounded. Juliet is a determined, strong willed woman (it might have something to do with her red hair). She is loyal to her friends and coworkers. 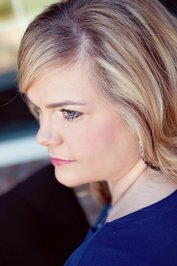 When one of her neighbors is found murdered, it is no wonder she feels a responsibility to help solve the crime. Even though her efforts get her into some difficult situations, she does not stop her snooping. Pete, her best friend (forever) and her boss knows he better help Juliet because someone needs to keep her safe. I loved the relationship and interactions between Juliet and Pete. It is so easy to see that they are best friends and would do anything for the other. We all need a friend in our life like that. Their bickering and banter is so funny to read: at times they acted like brother and sister, at other times like an old married couple. The secondary characters also added a lot to the story. The writing style flows smoothly and the book is a quick easy read. The author is very talented in her descriptive writing and through much of the book, I felt like I was right there, watching the action take place and privy to many different conversations. That was a real plus, in my opinion. This is the third book in the series, and although I have not read the others (yet) I had no trouble following the storyline and connecting with the characters. The mystery is carried on well throughout the entire book. There are a few different mysteries that need solving and that was another thing that I really enjoyed about the book. The book is well plotted and there were enough suspects, twists and turns and red herrings throughout the story that made it nearly impossible to solve. That did not stop me from trying to solve the mysteries but I did not do that before it was revealed at the end. 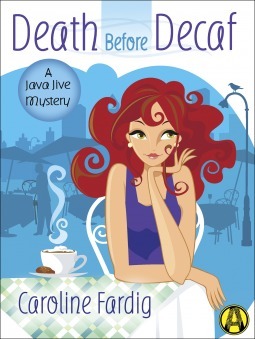 I really enjoyed how all of these mysteries were entwined together and thought it was very cleverly written. 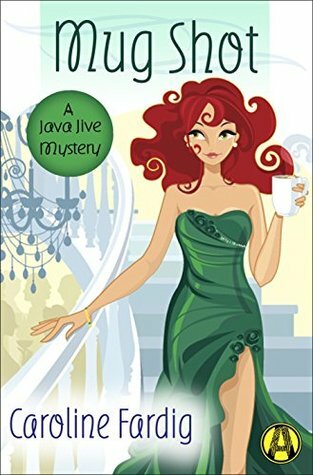 I would recommend this book to anyone who enjoys a well crafted cozy mystery with great characters, lots of mysteries, humor, suspense and tension. Some of the language was a bit stronger than what is usually in a cozy mystery (but nothing that was offensive to me in the least). This is the third book in the series and I cannot wait to read the first two. Check them all out. I received a free copy of this book from NetGalley in exchange for a honest review. I would like to thank NetGalley and Random House Publishing Group-Alibi for the opportunity to read and review this book.